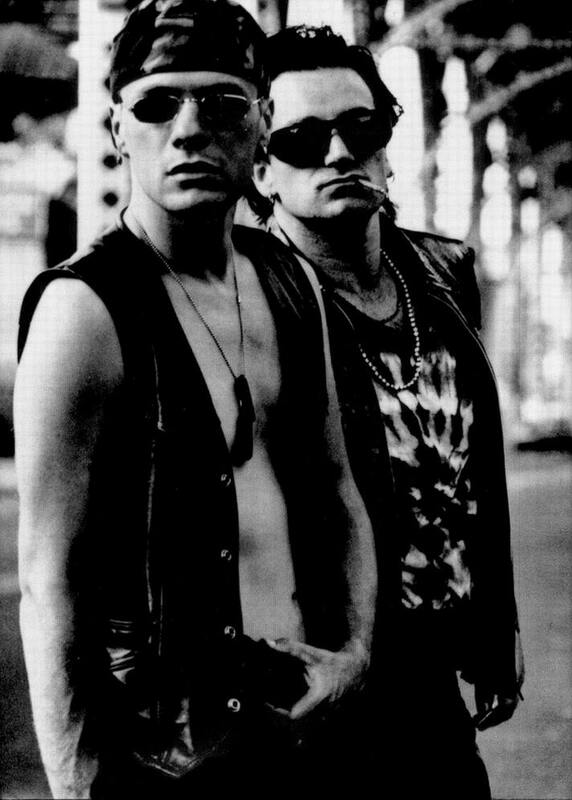 Bono & Larry. . HD Wallpaper and background images in the U2 club. This U2 photo contains sunglasses, dark glasses, and shades. There might also be street, city scene, and urban setting.